Clever Ducks computer network services just purchased the old A&R Furniture store on the corner of Broad and Pacific. They will occupy a portion of the premises and will lease the remainder. They are currently in the process of remodeling the facade. Also, the suite for lease will have a new recessed entrance. 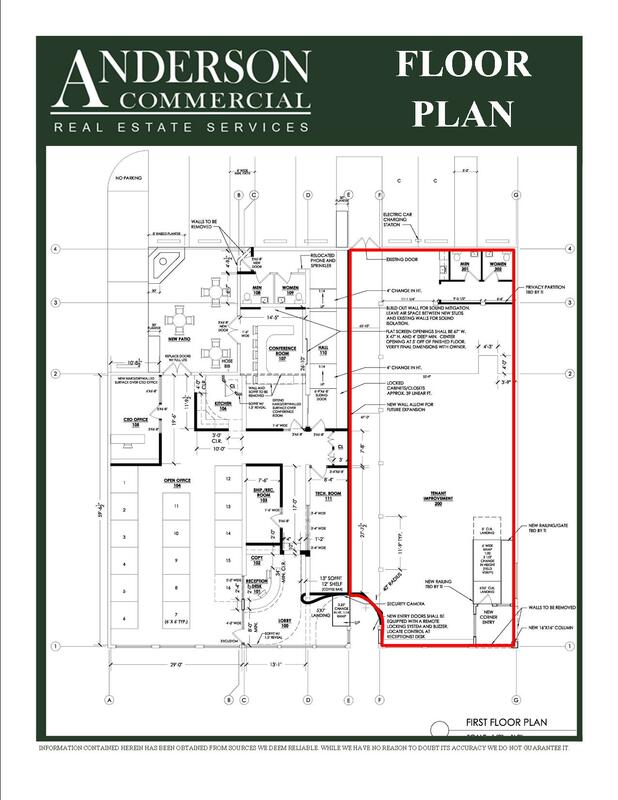 In addition, the warehouse in the back of the property will be removed to allow for sufficient on-site parking. The suite is 3,233 sq. ft. and is being offered at $1.50/sq. ft. NNN. The zoning is office, but certain retail uses are allowed as well. Exposure is about as good as it gets. Improvements are negotiable. The space will be ready for occupancy in April. 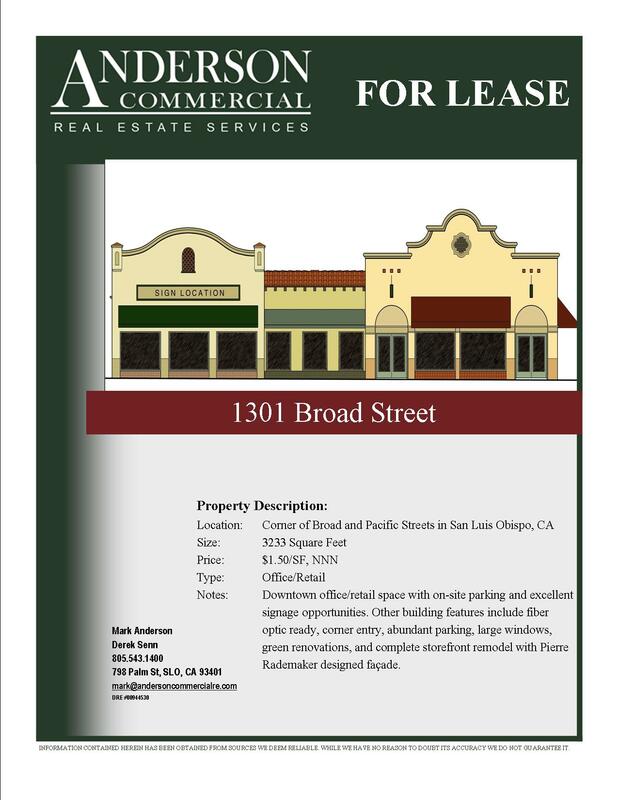 This entry was posted in Uncategorized and tagged 1301 Broad Street, A&R Furniture, Amy Kardel, Anderson Commercial Real Estate, central coast real estate, Clever Ducks, Derek Senn, downtown San Luis Obispo office space, downtown san Luis Obispo retail space, San Luis Obispo commercial real estate, San Luis Obispo office space for lease, San Luis Obispo real estate, SLO commercial real estate. Bookmark the permalink.